US equity indexes closed significantly lower, sp -43pts at 2357. The two leaders - Trans/R2K, settled lower by -3.1% and -2.8% respectively. 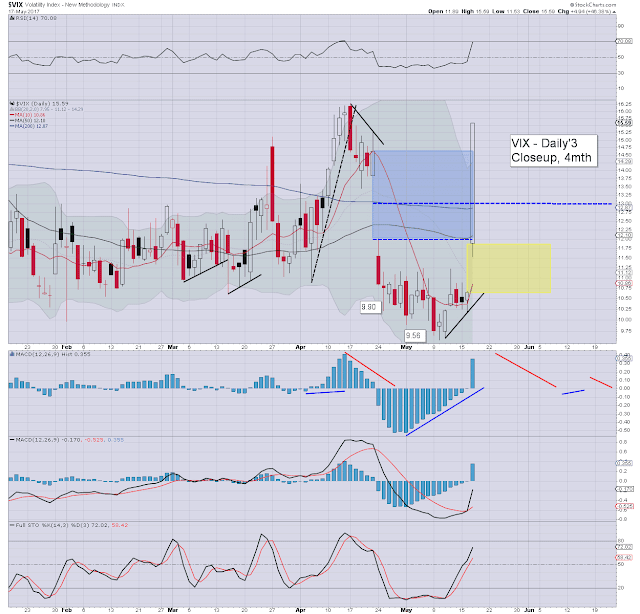 VIX settled +46.4% at 15.59. 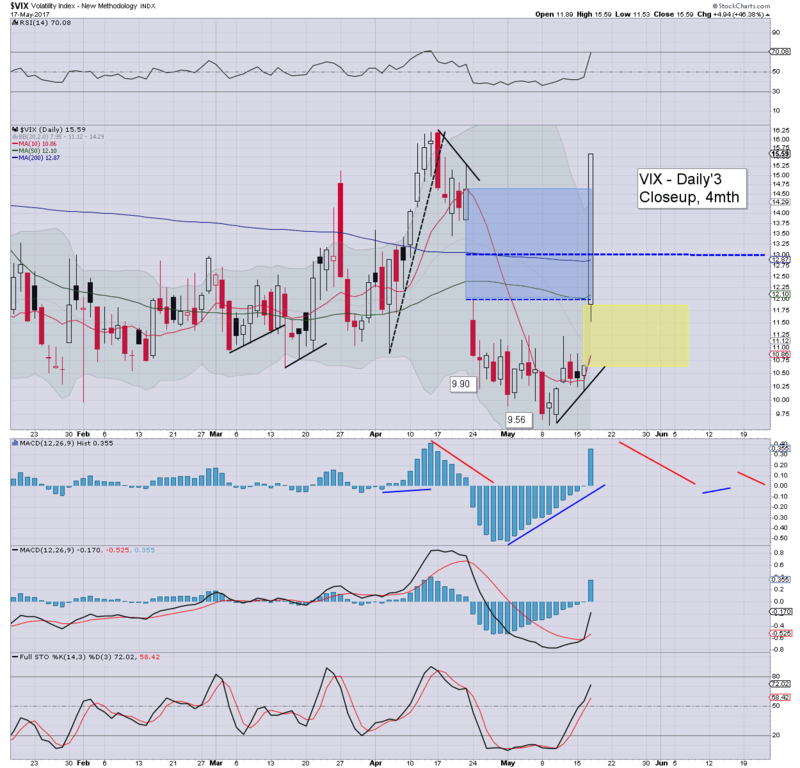 Near term outlook offers renewed upside into the opex/weekly close. Sporadic (and brief) washouts are to be expected, in what remains a powerful upward trend. 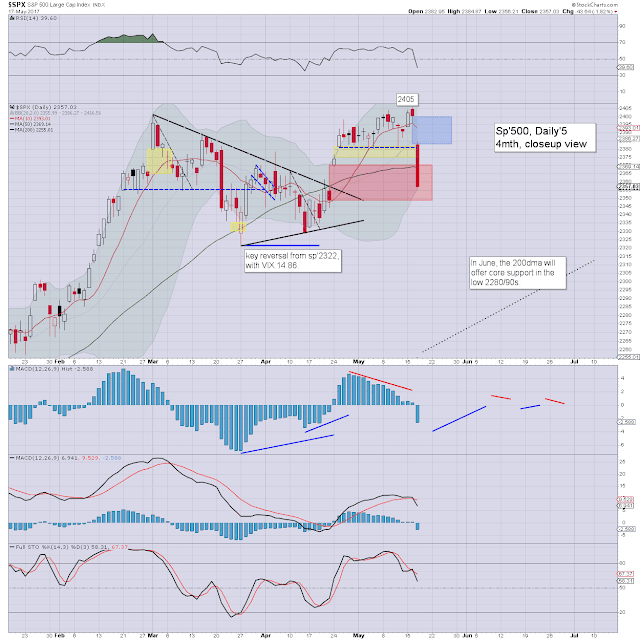 Based on cyclical issues yesterday, I had expected the market to cool to sp'2393/90 this morning. Yet overnight 'Trump' chatter gave the HFT algo-bot's the excuse to washout much lower. The break into the gap zone of 2370/48 is a surprise, as that genuinely seemed to have become one of those rare 'breakaway gaps'. So, according to the NY Fed, Q1 household debt has finally surpassed the pre-crash peak of 2008. 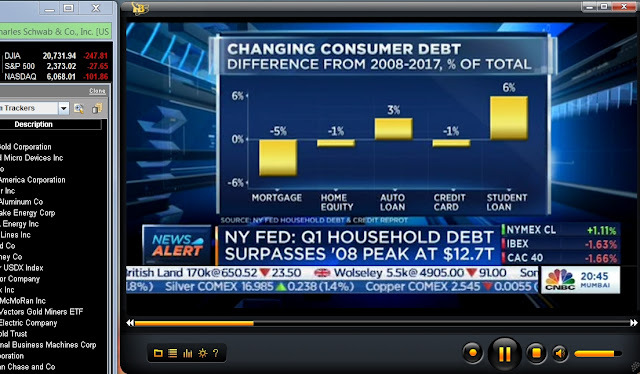 Congrats to the American consumer, yes? This is a good sign of the underlying strength of the economy, right? Broadly though, nothing has changed. We'll continue to occasionally see sporadic 0.25%, 0.5%, even 1-2% washouts, but the equity bears still won't likely be able to muster anything sustained. The underlying bid for equities (not least from the central banks) remains 'scary strong'. I'll be the first one to sound alarm bells if the mid term trends are broken, and right now, that is still around 4% lower. I can't see that happening any time soon, can you?